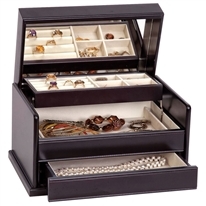 Most Popular Women's Jewelry Boxes, Armoires & Cases. 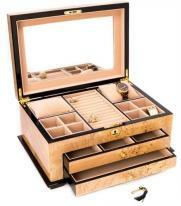 Featured on this page are a few of our most popular jewelry boxes. 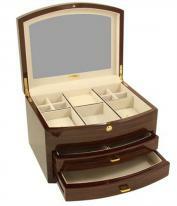 Choose from these customer favorites including beautiful wood jewelry chests, jewelry armoires and leather jewelry cases perfect for ladies earrings, necklaces and fine jewelry. Questions? Call us or send an email with your questions and we'll be happy to assist you. 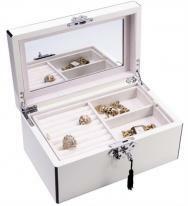 All women's jewelry boxes qualify for easy 30 day returns, exchanges and 1 year warranties.